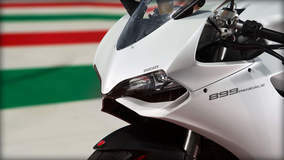 The revolutionary technology found in the Monoscocca frame and Superquadro engine, 148 HP delivered with incredible lightness and unprecedented agility, the unmistakable design, Ducati Quick Shift and ABS fitted as standard. 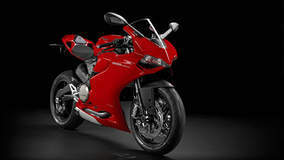 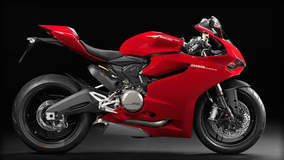 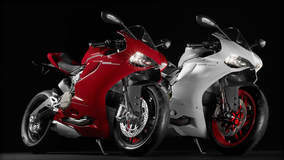 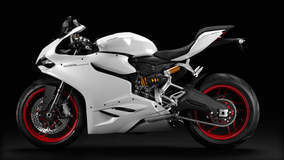 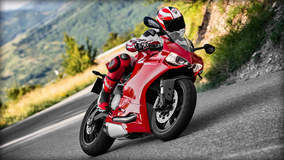 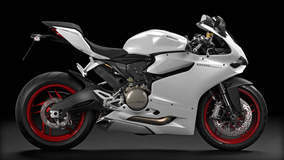 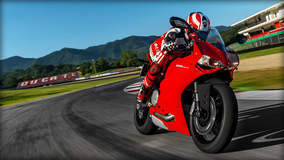 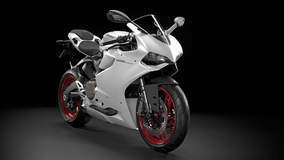 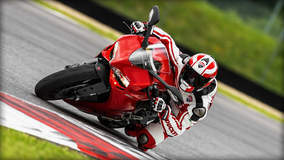 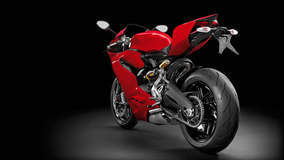 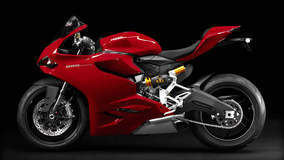 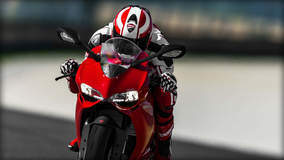 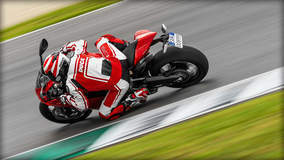 This all ensures that the 899 Panigale is just the bike to give a Ducati Superbike adrenalin rush, both on the track and on the road. 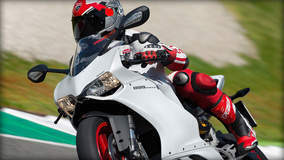 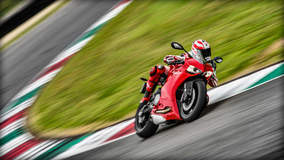 The 9MP ABS standard on the 899 Panigale is a latest-generation system with two channels that performs combined braking with control of rear wheel lifting to guarantee not only shorter braking distances, but also the greatest stability during braking. 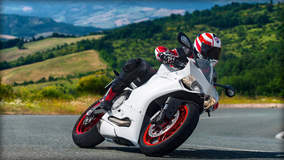 The 899 Panigale's chassis continues the innovative Monoscocca concept: different components have been integrated to give shape to a single compact and lightweight element that also enhances the rider's posture to perfect the riding position. 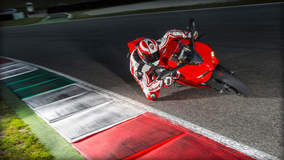 The 9MP ABS standard on the 899 Panigale is a latest-generation system with two channels that performs combined braking with control of rear wheel lifting to guarantee not only shorter braking distances, but also the greatest stability during braking. 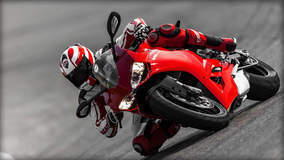 Specifically intended for sport use, the 9MP ABS offers three levels of operation. 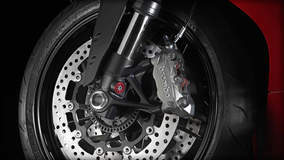 Specifically intended for sport use, the 9MP ABS offers three levels of operation, each associated with a Riding Mode; in the Race mode, the system works only on front discs to allow advanced track braking techniques for expert riders. 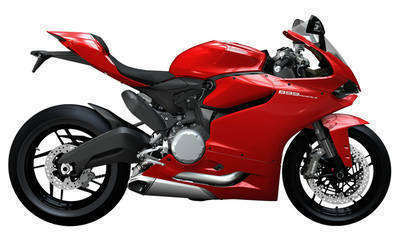 The engine has been designed as the structural element of the frame. 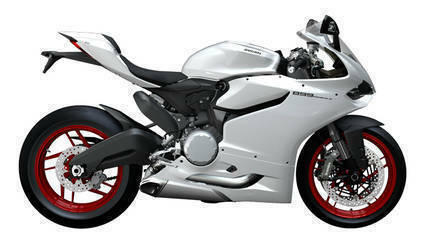 As such, its architecture has been completely reviewed to ensure the best design in terms of structure, weight distribution and robustness. 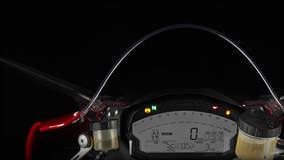 The monocoque frame is fixed directly to the cylinder head, and at its front are two aluminium bushings inserted with the steering tube bearings. 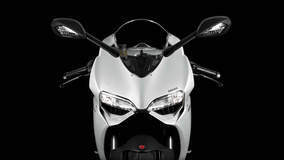 In addition to performing the traditional function of a frame, the monocoque also acts as an airbox. 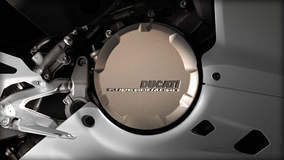 The cylinders, at a 90° angle to each other, have been rolled back an additional 6° on the crankcase to produce a 21° angle between the front cylinder and the horizontal plane. 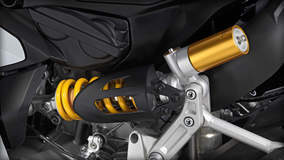 This has allowed the engine to go forward, accordingly improving the distribution of weights between the front and rear end.